Well, I solved it by modifying the code to 2.0 spec. Good lord I need sleep. Okay, I now have a soldered node and serial gateway setup to my laptop for testing. It presents the sensor node! The name and available sensors is correct. Howevr, it never sends any message payload with temp/hum or battery values. I am using the HTU21D without soldering those 3 pads on it together. 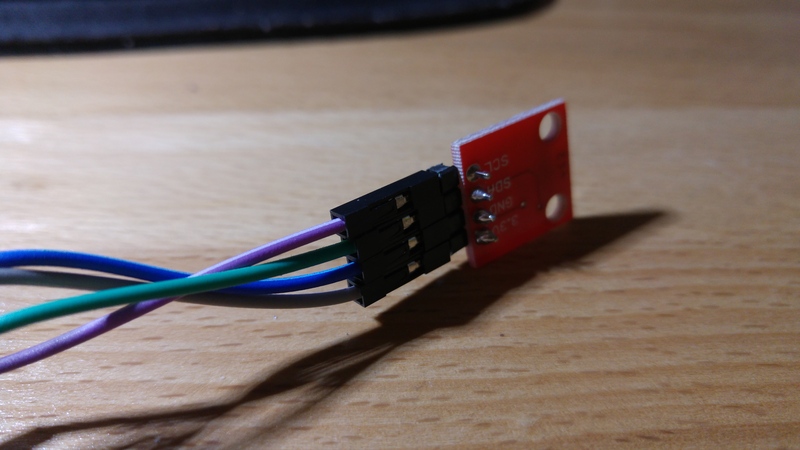 I need to get myself a 3.3v FTDI cable so I can serially debug I guess. But, still! Progress. 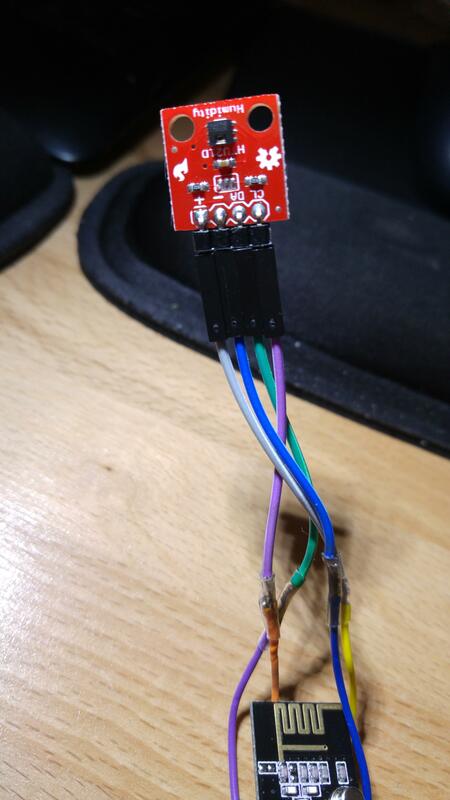 After soldering the 3 pads on the HTU21D I am now reading data and it is being sent to my test serial gateway. Need to measure current usage but at least it is functional. Okay, seeing something odd. The force transmit does not appear to be working. I am at 1+ hours since last transmission. @wergeld It looks like it's set to 3 hrs. Temp/Hum node using HTU21D for back porch sending every 5 minutes and force send every 30 minutes. Temp/Hum node using HTU21D inside using same send times. Parking sensor in garage hardwired to mains. 5 & 6 I am not sure yet. Lots of fun so far. I am seeing 5.0 μA at sleep and 12.4 mA when transmitting. Seems kind of high. I did the poor man's test as well - put an LED across the HTU21D power pins and it lit up. Same when I did it across the nrf's power pins. Shouldn't the MySensors code turn off the power rails during sleep? No, the powerrails are not turned off, just the devices themselves. 5uA during sleep is about right. The 12.4mA during transmit is also normal, but the transmit time should be very short, so on average the total consumption of power will be low. First thanks for sharing. I love this slim node. But I am facing some issues I did not success to debug. So I use the code shared here for mysensors 2. 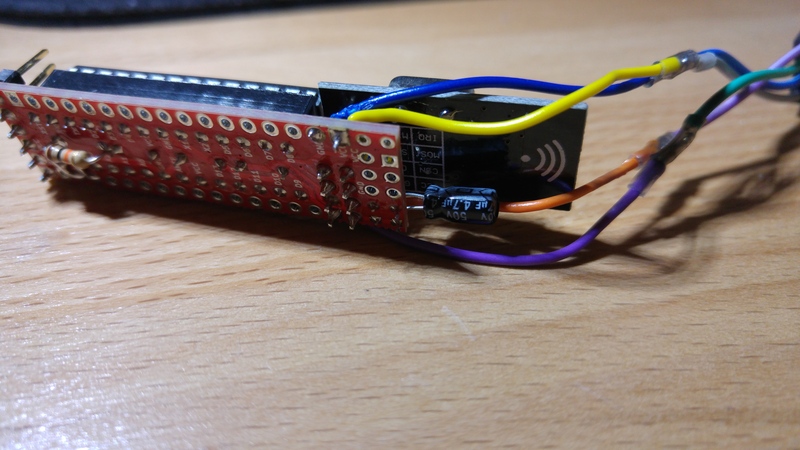 I try with the mysensors exemple library (did not work at all). I try with the https://github.com/LowPowerLab/SI7021 which worked (at least for getting separately temperature and humidity and using the example file) on an arduino nano. 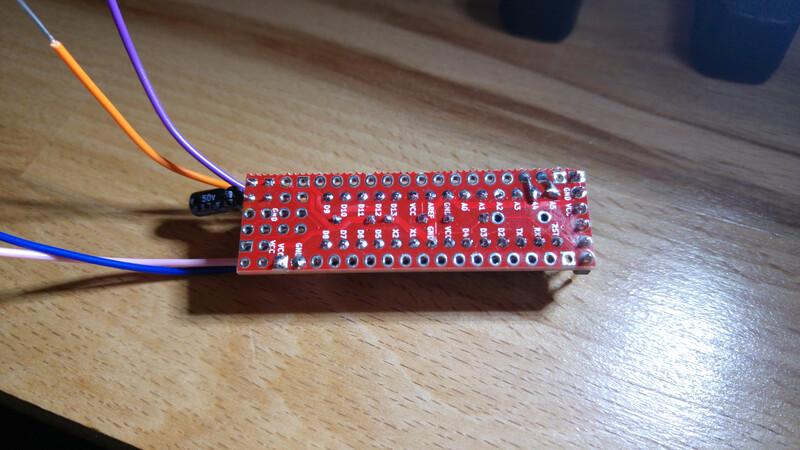 But when I run this sensor with the slim node (red, boot loader 8mhz) and the code (for 2.0.0) I always get -46.85 for temperature and 118 for humidity. Otherwise the radio work normally. Winter is coming and I don't know what I could do anymore. Thanks to share you idea on this. Why actually my device id is 50 ? for what 50 stands !?!?! @clempat Please post your sketch and maybe some hardware photo or diagram too. @m26872 Sure I can do that. So I simplified the code to only focus on the si7021. @clempat Don't think I can help you. Maybe clock related. What voltages do you use on Nano and Slim respectively? Do you have multiple parts to try with and get the same result? Why do you include and start wire.h, isn't already in Si7021.h ? My guess on "device Id 50" is that it's just a chinese clone reply. @m26872 Thank you. Yes I wanted to try with a pro mini 8Mhz but I need to prepare the pin 4 and 5. I will keep inform when I do it this week end. I includes wire.h like in the exemple in https://github.com/LowPowerLab/SI7021 but of course after I tried without. 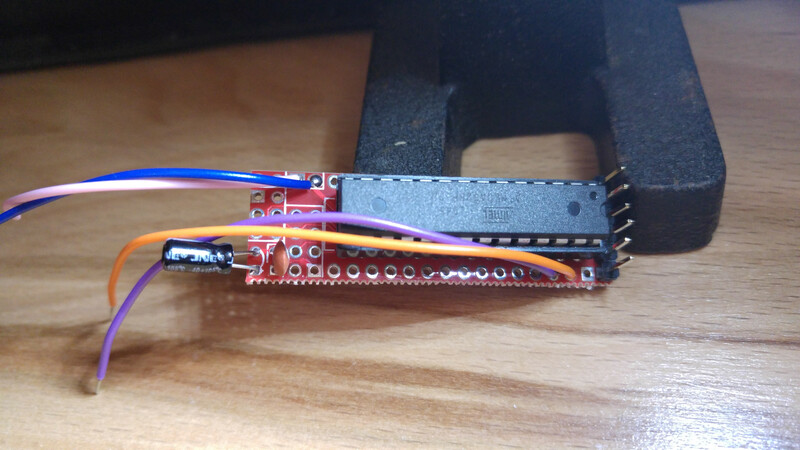 The nano was directly connected to usb and the slim through 3,3V USB to serial. 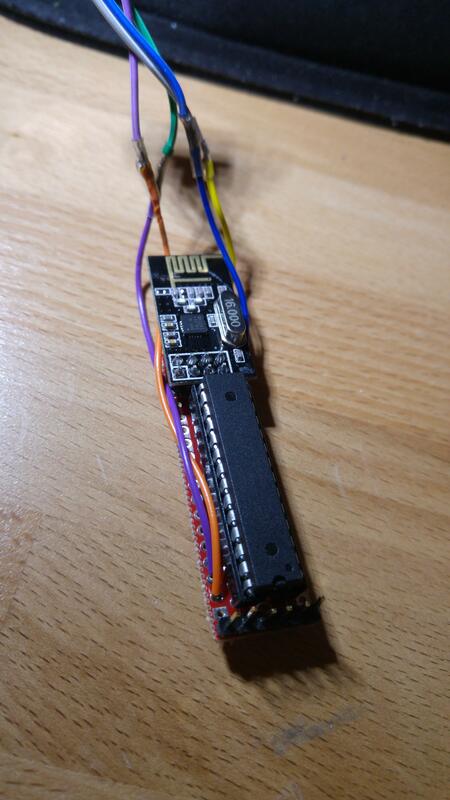 Ok with the arduino micro 8Mhz all works good too. @clempat Make it with external 8MHz then ? Then it should be like a Pro Mini 3.3V. @m26872 I will give a try and let you know... Thanks. // When MEASURE_INTERVAL is 60000 and FORCE_TRANSMIT_INTERVAL is 30, we force a transmission every 30 minutes. // TEMP_TRANSMIT_THRESHOLD for temperature threshold. It would be interesting if someone with issues also tried older versions of libs for Si7021 and/or MySensors. So, after a few months of 2 nodes up and running using the HTU21D sensor I have come the conclusion that the HTU21D is no good for where I live. Lately it has been getting cooler outside (down to mid 50s F) but humidity is still high. As the evening progresses the humidity gets to 100% and the node no longer sends data. This happens around 6pm every day (about half and hour after sunset). It then comes back online at about 10 am the next day. The node that I have inside does not have this issue (same shipment of arduino, pcb, and HTU21D sensors and the same arduino code). Both running off of fresh AAs. May need to upgrade to the SI7021 for outside node. Here is the graph showing last 7 days. As you can see it flatlines (literally!) at 100% humidity! All good times with the learning! @wergeld Relative humidity at 100% during night sounds very realistic to me. Are you confusing it with the "absolute humidity"? Or is your concern that the "force transmit" isn't working? @m26872 & @bjacobse - Yes, 100% humidity is normal here. Good old Florida! My concern is that the node stops reporting. Possibly due to condensation shorting out something. During the summer here we also hit 100% humidity but it is also a lot hotter (high 90s). Now, I think that the cooler temps are forcing a dew point that is allowing water to condense on the node. Then during the morning it drys out and resumes transmitting. I would like to find a way to stop this. @m26872 I have looked at a lot of those links. I am leaning towards covering my node in non-reactive glue. This will seal all contacts. 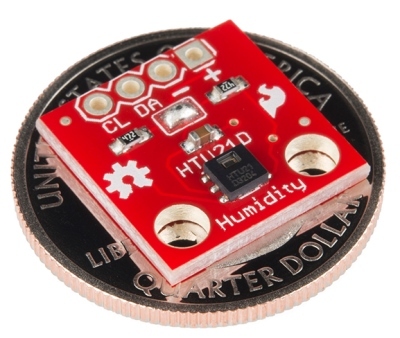 The only part that would be difficult would be the actual teeny tiny sensor chip on the HTU21D. Hopefully any condensation there can be minimal. The next step would be to make sure the battery case is sealed as well (although I do not think this will be much of an issue). @bjacobse Yes, I am checking the values and if the same as last transmission I abort and go back to sleep. If, however, it has been 3 hours since last transmission I force it to send. I've done 6 nodes off this sensor. Do I have to change something else then node id? Also I'm using the 1mhz bootloader with bud rate 9200 should I change that in the sketch? I think my problem is that I haven't changed the bud rate in mysensors.h file. I've just reinstalled everything now and I don't know how to get si7021 installed the right way. I installed the package inside arduino but it doesn't work. I have problem to get my sensors to work. Thay start up and shows a not so accurate value sometimes and thay report once or twice but then never again. I thought it was because buad rate was wrong in the MyConfig.H file. Now i changed that and i tried a few different codes and librarys. Nothing seems to work. So my question is which code and library should i use? I got the slim node and sensor as in the first post. And i updated mysensors to 2.1. @Eawo Sorry for a late reply. Please post your sketch to begin with. Do you have v2.1 for both gateway and sensors? "#define MY_BAUD_RATE 9600" should be before the "include MySensors.h" and that should be all regarding baud rate setting. No need to mess with MyConfig.h in v2.x. A lot of the SlimNode example codes are still in v1.x unfortunately. So please look at more recent post above in this thread instead for v2.x. 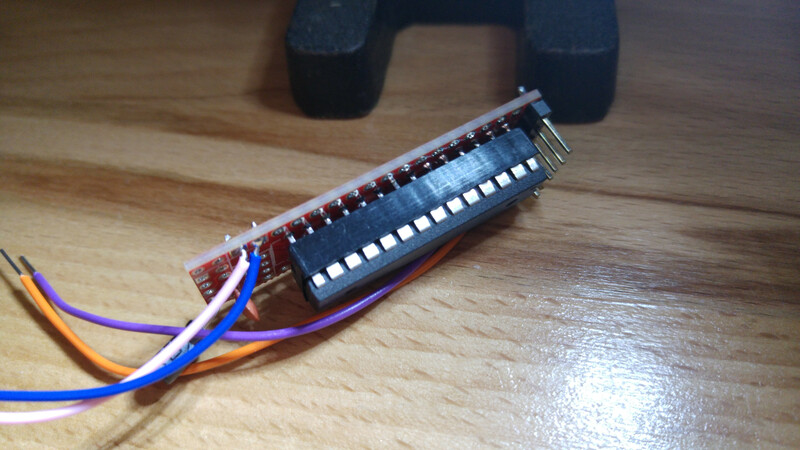 To verify the Si7021 you should use a clean Arduino+Si7021 setup with the only hw/sw needed for that, i.e. no radio or MySensors-library. Si7021-example sketches generally comes with the lib. Ok i redid everything from skratch and now i got it working atleast with 1 node havnt tried the other yet. also this does report every 60sec will this be short battery life?